Once you’ve gotten the load aboard you need to secure it to protect it. 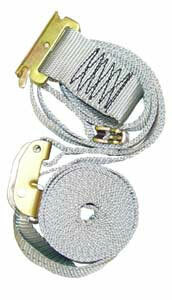 That’s where American Moving Supplies’ ProSeries line-up of cargo controls and strapping come into play. 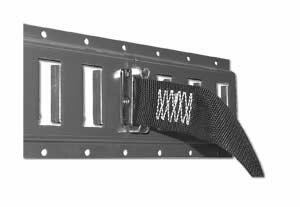 Whether it’s easy to use cam-buckle straps, more heavy-duty ratchet straps, or simply webbed strapping and tie-downs, AMS has the right cargo controls to protect your load from damage due to shifting conditions. 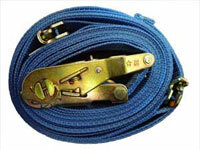 Spring Loaded - Straps are 2" wide Cordura polyester webbing, with a fixed-end length of 4'. The assembly breaking strength capacity is 2,200 lbs., and the working load limit is 725 lbs. 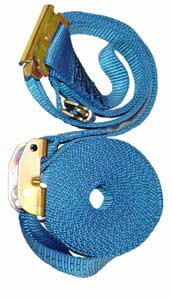 Straps are color-coded for easy length identification. 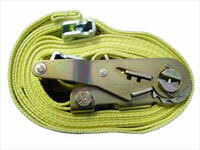 Spring Loaded - Straps are 2" wide Cordura polyester webbing, with a fixed-end length of 4'. 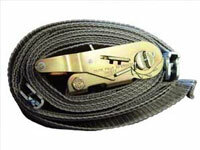 The minimum breaking strength capacity is 2,200 lbs., and the recommended working load limit is 725 lbs. 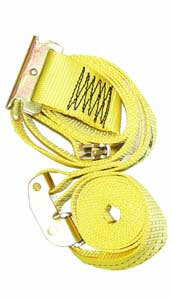 Straps are color-coded for easy length identification. (c)2011 American Moving Supplies, Inc. Dallas, TX. 800-723-6334 All Rights Reserved.